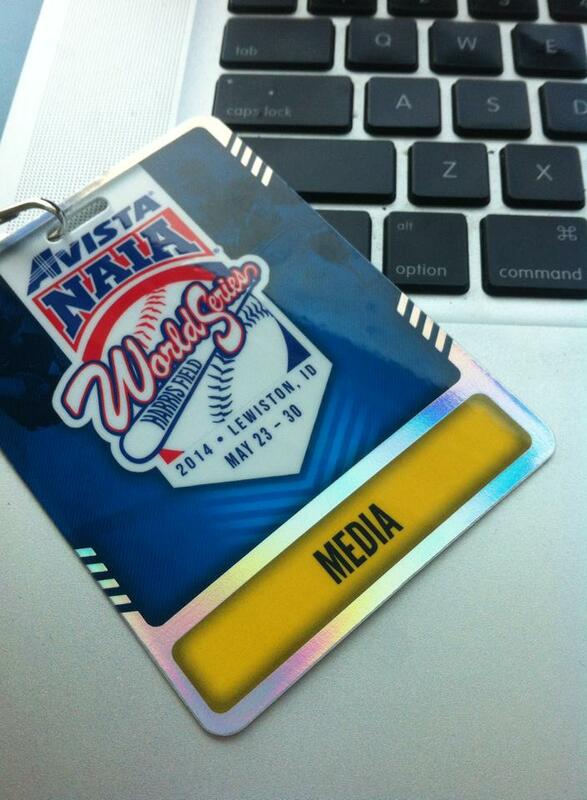 Last week, I was supporting a radio broadcast team covering a long-standing, week-long live event with tweets. This is the fourth year IÂve been part of the KOZE Sports team and this year I keyed in on something new. Not with the event but with the team of two announcers responsible for bringing the event to thousands of people across the nation. stories to fill dead air between plays. What I keyed in on, was they way these two men were able to share their histories. Instead of cracking a private joke on-air about something that happened in the past, they took the time to fill in the back story. Every memory reference was colored in. Every person listening was provided with an explanation that invited them into the conversation. In the same way that Danner and Tatko have developed a history, brands that were conceived and launched online or brands that have been curating content over an extended period of time have a very real history. One thing that makes a brand and its content attractive to people is a consistent voice that shares that history and the new events that continue to contribute to it. This takes on increased importance when you have a team of people managing that voice. With any good team you want to encourage ties and relationships that give your team members a sense of connection. A cohesiveness that allows them to pull together to pursue common marketing goals. The danger comes when the intimate aspects of those ties and relationships begin to bleed over into the conversations that take place on your social media profiles. IÂm not writing about behind-the-scenes snapshots of Team Member Josephine caught sleeping at her desk during a quick power nap. Or teasers of an almost-ready-to-launch product. IÂm writing about insider banter made up of private jokes and subtle references to previous events new followers might not be familiar with. Instead of being invited to participate in and contribute to conversations that occur on your Facebook Page, Twitter stream, Tumblr profile, or LinkedIn presence, your followers become observers, voyeurs if you will, over an exclusionary conversation. An oblique reference once in a while shouldnÂt damage your brand but if your team becomes comfortable with presenting too many tweets, updates or posts that have overly private resonances and not enough public appeal, people will stop retweeting, sharing or giving +1Âs because they donÂt have the contextual references they need to understand the content your team is publishing. It will kill your online momentum. The best time to manage this situation is before it occurs by addressing expectations for your teamÂs online behaviors in a set of social media guidelines. If you find yourself having to navigate the situation as itÂs occurring online, you need to find a way to help your team bring the content back around to a place where your followers feel included and invited to take part in a conversation. Just how does one find blogging voice? elusive! Not sure there is a solid answer, but at the bottom of this article we ought to have a much better understanding of what the hoopla is about a vloggerÂs voice. When I typed ÂbloggerÂ in the last sentence, it came up Âvlogger,Â and I am so grateful that happened whilst sitting in the middle seat in a full airplane cabin pecking letters one by one because the batteries died in my iPad keyboard. So, instead of using merely a blogger to understand voice, letÂs first explore the world of vlogging as it relates to that. Video blogging is so much more visual which makes it easier to illustrate the concept of voice. What is your impression watching peeps on camera? ItÂs pretty painful sometimes, right? When a vlogger has to look at the camera without furtive eyes or naturally down-turned mouth (without a smile), it is difficult to make great video. Now think of the words delivered during a video blog. Are you following along and listening? Is that blogger making a connection with you? Are they droning on and on without coming quickly to a point? Did they tick off an agenda or a bulleted list of items theyÂd cover in their piece? How about tone? When someone speaks, itÂs normal to listen for inflection and excitement and authority. Is the tone of that vlogger credible? Do they take command of their subject matter and do you believe what you hear? Run and get a video blog you recently watched; IÂll wait. Spend two minutes only re-watching the vlog and pay careful attention; no multi-tasking! In your head, jot down your impression of clarity, confidence, body language, tone, personality, credibility. DonÂt worry, youÂll notice these automagically now that youÂre looking and listening more closely. Â The person was forced and lacked personality. Â S/he was cracking jokes that were not funny, and the content was subpar. Â It was a sorry attempt at connecting with community using a medium that appeared uncomfortable for him/her. When you add all of the above together with high marks, what you get is a masterful vlogger. Yet, it takes time and practice! No one can master being on camera unless they are trained broadcasters (who daily practice news delivery prior to going on camera). Think of Anderson Cooper next to David Letterman. That provides an awesome dichotomy, doesnÂt it? The two canÂt be farther apart in personality and tone yet they command respect, authority and attention. Are you starting to get the picture of how weÂre going to segue into blogging voice? Many bloggers experience months and months of blogging only to feel a lack of connection with HOW they write. When you read a blogger using English as a second language, the content is often stilted and word choice is sometimes stark. There isnÂt naturalness to the flow of the article, and it takes the reader more time to connect with the writer. This is not a criticism in the least, itÂs merely an observation about how those words jump from the screen and in what tone and fashion. ItÂs how the reader connects with the writer that makes voice come alive. Blogging voice is extremely different than journalistic voice or that of an author of romance novels. When bloggers write, there is more usage of the first person. Some new bloggers feel compelled to thread the word ÂIÂ throughout writings thinking perhaps that writing in the first person is more personable. In one opinion, itÂs more egocentric and boorish. Bloggers who have Âfound their voiceÂ seem to fit right into an easy presence and comfort in their blogging skin without too much toil. When you start blogging, you need to set goals for yourself and the blog. Do you want to build community and subscribers? Do you wish to be an influencer or thought leader? How about being the leading blogger in a genre or category like a parent blogger? The goals you set drive how you write and thus your voice. If your goal is to sell diapers to moms, then you will need to command authority and then add a sales bent to that voice. Right? Be Consistent. It takes 12 months of posting about three times a week to find comfort with your online presence. If blogging is your profession, in that 12- month timeframe you most likely have accomplished a few goals and have already switched it up a few times. If blogging is your hobby, then 12 months may be when you see a few milestones happen, and you grow from there. Who is reading your blog? Better yet, who do you want to read your blog? If you are an online educator for home-school kids in fifth grade, your voice will be friendly, informal, conversational, yet authoritative and credible. Your audience is also the home-school parents who duel as teachers. If youÂre the pastor of a community church, blogging voice is going to be oriented to inspiring families to volunteer, tithe and attend church. That pastor blogger will walk a fine line between creating community, encouragement and being a leader. Understanding your audience who is or may be reading your blog is critical to finding your voice. You will write more powerfully instead of in a meandering way. You will connect with them to attain your goals each time you write. YouÂll think of what they want to hear and write with that purpose. Have you ever heard of a buyer persona? At first, I thought it silly, but after really thinking hard about who buys my services, I could picture that person reading my blog. My blog articles began to take on a more professional tone to address some common marketing issues in companies. My voice amplified confidence in my subject matter, and I felt a connection to the person IÂd like to have visiting my blog. This has contributed to a good feeling about my writing, defined my blogging purpose, which ultimately contributes to my voice. How and where you find blogging inspiration for writing fodder is a topic for another day. For the purpose of this exercise, select a topic youÂd like to write about. How will you write? With purpose! Your words need to be visual and help the reader connect with your passion about gardening. Do you sense the personalization that has to come across in blogging? Your passion must be apparent; if you write with dryness you will not connect with your audience. Passion for our topic begets connection with your audience. Ever read the childrenÂs books Fancy Nancy? Certainly, the illustrator made those books but she had to have the words as inspiration. It was a team effort, for sure. Your words need to inspire anyone with the hint of a green thumb that they can become a master gardener just like you. Your plot of land becomes your canvas to create a breezy, flowy, rainbow garden that brings a gasp of visual pleasure with butterfly wings a flutter. donÂt butterflies always do that? Notice the word choices that are lighter and more creative with visual appeal. Try to put more of these types of words in your writings and loosen up. Quit being so stilted. A blogger with voice is comfortable with self first and that confidence helps portray authority. Author’s Bio: Jayme Soulati is an award-winning professional blogger writing at Soulati-ÂTUDE! making its home at http://soulati.com. She is president of Soulati Media, Inc., at which she offers business-to-business hybrid public relations blending digital marketing, content marketing and social media marketing with public relations. Since 1984, Jayme has worked in public relations launching in ChicagoÂs agencies. She is a seasoned practitioner and brings strategy, ideation, writing, media relations, and more to every client engagement. A version of this post originally appeared on the Shareaholic blog Feb. 28-29, 2013. When people tell me I write well, it’s because I do something extra. After I finish writing and revising a piece, I go back again to listen. I listen to the rhythm and sounds of the words. I listen and make small tweaks. It’s like being a technician at a sound board. I’m mixing the music of the language. I say that seriously. One guy who understood what I mean, who really had it down, was Abe Lincoln, the 16th U.S. President. He understood that fewer words and more music would deliver more meaning. To me, that’s the reason his Gettysburg Address — less than 300 words — is considered the most remembered American speech in our history. Read the first paragraph of The Gettysburg Address below. Read to see what the words say. Now read to hear the music, don’t think about what the words mean. Read them aloud slowly, evenly. Listen to how they sound. Read the paragraph aloud two or three times this way. Do you hear the rhythm, the rat-tat-tat of the syllables? It’s kind of fun to say the words, especially liberty,. dedicated, and proposition. Those words seem to stand out at the right spots. Can you hear the difference that occurs when you change that last word equal to the term the same. The sounds change too. The two syllables of equal have more stress on the first syllable — E-qual. That difference in stress doesn’t happen with the two words — the same. It doesn’t sound like an ending. Without that ending, without the feeling of closure, the impact of the whole sentence is lost. The final word doesn’t ring and stay in our ears — or our minds if we’re reading silently. Unconsciously we’re waiting for the next word, the way we wait for the next shoe to drop. The sentence feels incomplete rhythmically. Abe Lincoln understood how words make meaning and how they make music.You could almost sing the Gettysburg Address. It wouldn’t surprise me if folks already have. It’s not hard to do what Abe did. Something has happened. It wasn’t nice. It happened once too often. It happened to someone you care about. It needs to be addressed. You’re about to write something someone is going to read. Before you write, check your emotions. They’re running high, aren’t they? Here’s what you need to do before you write. Whatever you do, please don’t write and rant. Rant is a four-letter word. You’ve read ’em. They’re deadly. So, how come Dennis Miller can rant in public? Knowing the difference has saved me from looking foolish and made me a better teacher. . . . Unfortunately, knowing doesn’t come with immediate credibility on that self-same subject. I’m writing this because I know I’m not the only writer who rehearses before writing. I can’t imagine a person who hasn’t used the process, you included. We all practice what we want to say when the conversation is really important. Those aren’t words that just happened. We rehearsed them. Musicians rehearse jams and free-wheelin’ rock solos. Writers rehearse before writing. Some prewrite. Some freewrite. That’s rehearsing too, but I mean thinking words before sitting down, typing, before having to look at them. Here’s something of how my rehearsing goes. I think about the words I might write. I say them and listen. I construct and recontruct sentence as if I were preparing for an important conversation. I think I might say this. I think about whether that statement makes sense and makes me want to pursue it. A few words come that sound right. I find a word I particularly like. That word begets another and there are two, three , and four. Soon I have sentence, sentences — whew an idea is rolling — it’s a paragraph! I walk and practice and play with words until I feel ready to write jazzed about what I want to say. Rehearsing is more fun than sitting at my computer. I hear some folks rehearse in the shower, . . . That’s okay for writers. It’s not a good idea, if you play electric guitar.